If you find you have brushed up against a poison ivy plant and start to experience any of the symptoms, you may not feel well enough to make your way to a pharmacy for some medication. Alternatively, you may prefer not to use chemicals and other such medications, in which case there are a number of natural poison ivy home remedies for you to use instead; you may even find some of these to be more effective than creams bought at pharmacies. Add a few cups of oatmeal to your bath and then soak in it for about twenty minutes. Mix the oatmeal with water to create a thick paste. This paste can then be applied to your skin in the areas that are affected and after it dries the symptoms will be relieved. You can rub the freshly cut stems over your rash. This will provide instant relief and can be done right out there in the wild where you first get the rash. You can harvest the plant, boil it into a thin liquid, and sponge it over the affected area. This will help you in that it will immediately soothe your itching symptoms. It will also dry out the, thereby promoting faster healing. Like oatmeal, baking soda can also be turned into a paste that can then be applied to the blisters to dry them out. Make the baking soda into a soothing compress that you can then apply to the surface of your skin. The idea is to pull the fluid out of the blisters, and this can be achieved by the sodium bicarbonate in baking soda. Another one of the many home remedies for poison ivy that you may find online is buttermilk. The proteins contained in buttermilk will draw the fluids out and will also serve a soothing and cooling function that will give you relief from the intense itching. Yoghurt can also be used in this way. However, please note that it is still considered better to use oatmeal or a jewelweed plant as your first port of call. If you don’t have access to either of those then buttermilk is a good alternative. It may not always be effective, but it certainly can’t do you any harm if you try it. Liquid dish soap can therefore have a very similar effect on your skin. If you apply a little detergent to your skin it may be able to dry it out and remove much of the urushiol. Likewise, clay can aid in the drying up of weeping blisters. However, you should be careful about immediately rushing to apply soaps to your skin as it may harm you. If possible, stick to the more harmless methods such as oatmeal. Even if it doesn’t help, it can’t hurt you to try, as there should be no counter side effects. There are many poison ivy home remedies and some are simply more convenient than others, this being one of them. This treatment also helps for severe sunburn. Something that a lot of people have in their homes is fruit, so you will be glad to hear that certain fruits can act as home remedies for poison ivy rashes. For example, if you have a watermelon you should be able to use the rind from that watermelon as a cold compress. The cold will be slightly soothing and give you a little relief while the water content should help to dry out the terrible blisters. A banana could also help; the reason for this is not immediately obvious, but if it is all that you have then it is worth a try. The banana peel may act as a gooey cold compress that can relieve your symptoms substantially. That being said, it is not ever recommended by doctors, not because it is harmful, but because it is generally thought to be ineffective, but if you are desperate, it won’t hurt to try. Be careful about using any of these remedies and find out from your doctor if you can what the likely negative side effects of using any of the above may be. Note that applying alcohol to an open blister may sting a little (or a lot) before the relief kicks in and this is something that you will need to be prepared to handle if this is the route that you choose to take. This is not one of the most highly recommended methods for dealing with poison ivy so be careful about using this first. The Internet is full of ‘useful’ tips about how to get rid of your poison ivy symptoms, but you really have to be careful about some of them. Common sense should tell you that bleach is probably not one of your best options. When using bleach it should be diluted. Generally speaking, half a cup in a full bathtub for soaking, or a teaspoon in a pint of water for a compress is considered to be safe. However there are some potential negative side effects. For one, areas of your skin that are not covered in poison ivy blisters may suffer severe and negative side effects. Also, if you pour pure bleach onto your skin, you will destroy your healthy skin cells. Even though the bleach will cause your surface blisters to dry out it will also negatively affect the healthy skin underneath and could leave you feeling very ill. Try to avoid this remedy. Again, here, common sense should tell you that pouring gasoline directly onto your skin, especially onto open blisters, may not be the best idea. So avoid this remedy if you can. Gasoline is thought to work in a very similar way to rubbing alcohol. 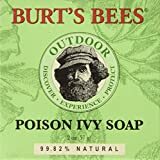 If you rub it into your skin very soon after contact with the poison ivy it is thought that it will remove the allergens form the surface of the skin and thereby reduce the symptoms. It can also knock out the superficial nerves in your skin that makes you feel itchy in the first place. However, gasoline is toxic and no doctor would ever recommend this cure to you. You will also find that there is a fire danger involved with this cure. Something else that you may have heard of in terms of home remedies for poison ivy is vinegar. This is also a fairly popular Internet cure which is nevertheless probably not a great idea. Applying something as acidic as vinegar directly onto their skin, especially if there is an open blister or rash, will undoubtedly cause you serious pain. You will not find a doctor that will recommend this, so this is another of the home remedies for poison ivy to avoid. If you literally have nothing else, remember that the vinegar must be diluted to keep it from being harmful to your skin. The main thing that the vinegar could do is to ward off bacterial infection. While this is important, it will make little difference to your most irritating symptoms, namely the severe itching that you will experience with the poison ivy rash. Next Post:Is Poison Ivy Contagious?